Ustad Hussain Sayeeduddin Dagar (78), maestro and custodian of the venerable Dhrupad tradition of Hindustani classical music, has passed away in Pune, Maharashtra on July 30, 2017. He was known affectionately to his legions of disciples and admirers as ‘Saeed Bhai’. He was born in Alwar in Rajasthan in 1939 and was a part of the Dagar family of musicians. He represented the 19th generation of Dagar Tradition. 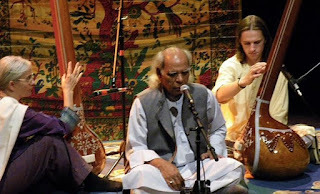 Dhrupad – a Sanskrit portmanteau of Dhruva (immovable) and Pad (verse) has its roots since ancient times, mentioned as early as the 3rd Century B.C. in the Natyashastra.